A capital gains tax could make economic sense if, like the Goods and Services Tax, it applies to everyone and everything. However as soon as there are exemptions for various activities and certain assets it become subject to accusations of social engineering, political expediency, and the perception of being an an envy tax. 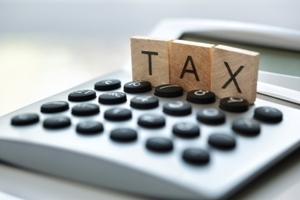 Residential property investors are firmly in the sights of this tax. Yet they are carrying on a perfectly legal small business, providing a service to willing customers at a competitive market price. Strangely, our society does not despise motel owners who rent out accommodation by the night or by the week, but appears to detest and dislike landlords who rent out accommodation by the month or by the year. Thus we can only assume that there is a political agenda involved within the proposals aimed at penalising the frugal, the hardworking and the aspirational. It is generally held by knowledgeable economists that home owner-occupiers who have largely paid off their house mortgages are the most advantaged group under the current tax system, paying no tax on the value of their own housing costs. So why are they specifically exempted from the CGT proposals? There can only be one answer - because it it politically expedient to do so. This immediately and totally undermines the whole 'fairness' concept of the CGT proposition.